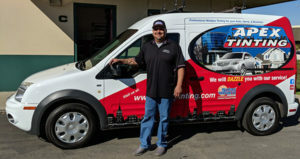 Home window tinting is almost a necessity for Central Coast residents. Avila Beach, along with the entire Central Coast is known for wonderful weather. We get sun shining on our neighborhoods for most of the year! We love it, but it also can have some damaging effects on us and our homes. As much as we appreciate all of our sunny days, it can also make us uncomfortable with unwanted glare and higher temperatures. Some people even avoid certain areas of their home during times of the day when the sun is beating in. No one enjoys being overheated or having the sun shine right in their eyes! Apex professionally installed window tinting will reduce the interior temperature and keep those sharp sun rays from causing glare on your TV or computer screen. Plus with window tinting you can still enjoy our nice Central Coast views without covering them up with blinds or shades. The sun’s rays are very powerful and often cause fading or discoloration of your furniture, wood floors or carpets, draperies, and so on. Replacement is costly and the value of your home could be declining as well. UV rays that pass right through unprotected glass windows can also potentially damage our skin! Whether you or someone you know has has been affected by cancer you are probably aware that the most common type is Melanoma. Evidence suggests that UV radiation plays a big role in this. Perhaps you are vigilant about applying sunscreen before you go outside, but most of us don’t think about the UV rays which are hitting us while we are inside! Calling Apex to install residential tinting to your windows will help reduce the UV rays entering and help you, and the materials of your of your home, stay protected. Home safety might be on the top of your list. We carry a full line of security tinting films that range from 4 mil. to 15 mil. to give you peace of mind. These security films will help keep glass fragments from flying around and hitting people in the room if a window is broken. Many people prefer having security window film on their children’s windows and in the nursery for this very reason. In the advent of an attempted break in, window security film can be a big plus. While a determined individual cannot be completely stopped from breaking in, having a security film in place will slow them down and they will have a more difficult time getting in, which can really be beneficial when waiting for help! You might have thought about window tinting and decided it would make your rooms too dark, or look odd from the outside. Apex wants to assure you that home window tinting doesn’t need to be dark to be effective. This simply isn’t true anymore, the technology has improved. A nice balance of natural light and added solar protection is now available for your residential windows, and that is what Apex window tinting is all about! We have a product line that will reduce UV rays by up to 99% yet cut virtually no visible light! Apex window tinting films effectively reduce the heat build-up inside your home too, which can drive down those energy bills. Apex Tinting specializes in home decorative window film too. Are there any views you would rather not have to look at? Maybe you need more privacy because of where your windows are located. Apex has decorative choices for these scenarios. Opaque, frosted and one-way window films are all available through Apex! 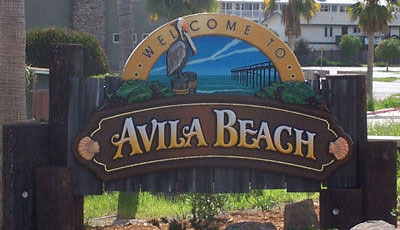 Let’s talk more about your residential tinting options for your Avila Beach home, or even your office!